Today, I have a cinnamon pork chops recipe complete with mock apples from chayote. It’s Sunday, so I know a lot of you out there are ready to get your meal prep on. I figured I’d share a little something different in celebration of our shared Sunday ritual. 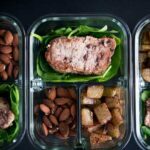 Not just another keto recipe, a keto meal prep recipe, complete with fancy containers and everything. I was going for a keto version of pork chops and applesauce, and it’s spot on. You’re welcome! 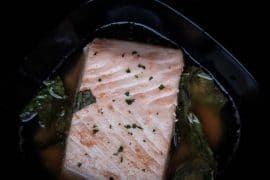 Why a Keto Meal Prep Recipe? It’s been several months since I’ve crawled out of bed at five o’clock in the morning to trek to the office. 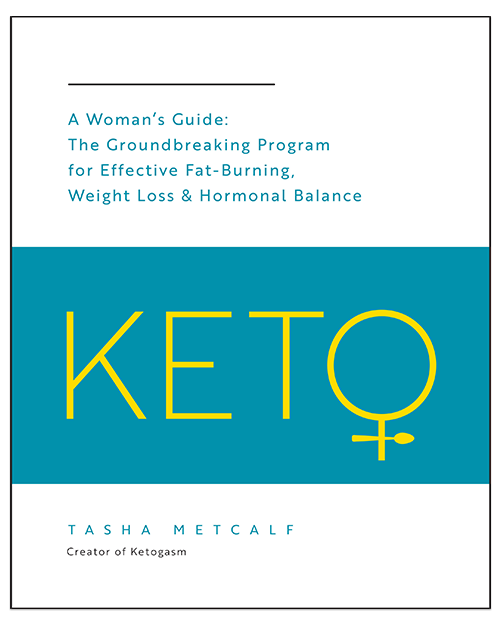 I’ve yet to publically announce that Ketogasm is my full-time gig now, but it’s official: I am no longer a 9-to-5er. It’s bittersweet, for sure. I was one of those weird people that loved my job, my coworkers, and the routine. 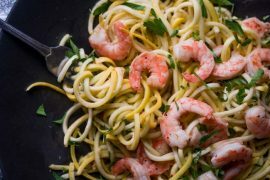 Every Sunday, I would spend time in the kitchen prepping meals and ingredients to make eating my way through the work week a breeze. Now that my work week is centered around food and developing recipes, there’s an overabundance of food, calories, and nothing to distract me from it. Yikes. I’m a creature of habit, so these past few months have been really strange, unusual, and quite frankly, challenging. As of this week, I’m getting back in the practice of meal prepping my lunches for the week. For normalcy, simplicity, the routine of things. I miss that. 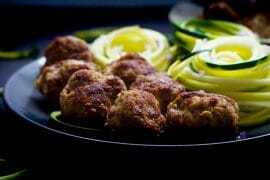 So you can expect to see one or two keto meal prep recipes from me. I hope they help you as much as they will be helping me! On to the good stuff! Cinnamon pork chops with chayote mock apples. Holy moly, this meal is marvelous. After making my keto chicken noodle soup with chayote noodles, I’ve had a ton of leftover chayote to play around with. When the chayote is raw, it’s so similar to a green apple it would be unforgivable to overlook the possibility of using it as an apple replacement. 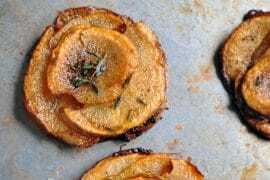 Cooked with a few fall-inspired spices, chayote squash transformed into a delicious, spiced apple copycat. As soon as I tasted it, I knew I had to pair it with pork chops. To prepare the cinnamon pork chops, melt ghee in a large skillet. Season the pork chops with sea salt, then place them in the skillet and cook for 5 minutes before flipping to the other side. After you flip the pork chop, add in the chopped chayote and seasonings: low carb sweetener, cinnamon, nutmeg, and apple cider vinegar. Cook for another 4 to 5 minutes, or until the pork chops reach your desired temperature, then pull them from the pan. 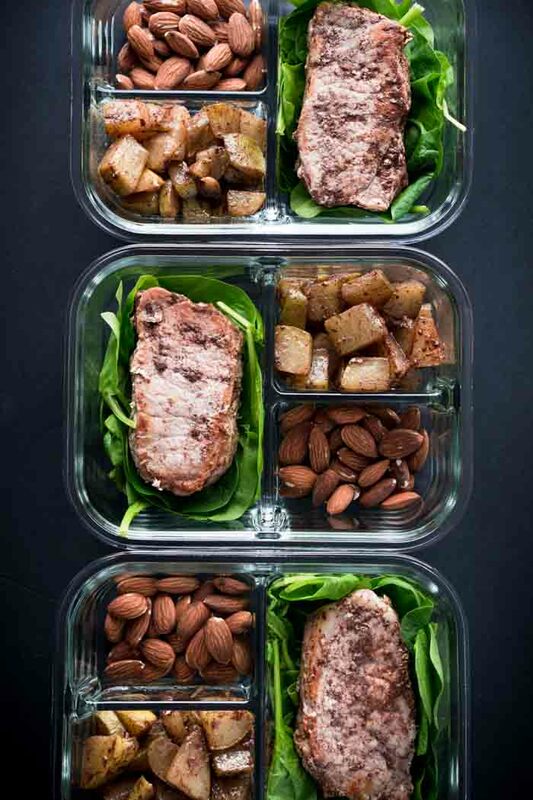 Pop each pork chop into a fancy meal prep container and move on to the mock apples. Bring the chayote mixture to a boil for a few minutes, then drop it down to a simmer, cover, and cook for another 30 to 40 minutes. Divvy the mock apple mixture between your storage containers and set aside to cool before covering with the airtight lids and refrigerating. Have fun with your keto meal prep! 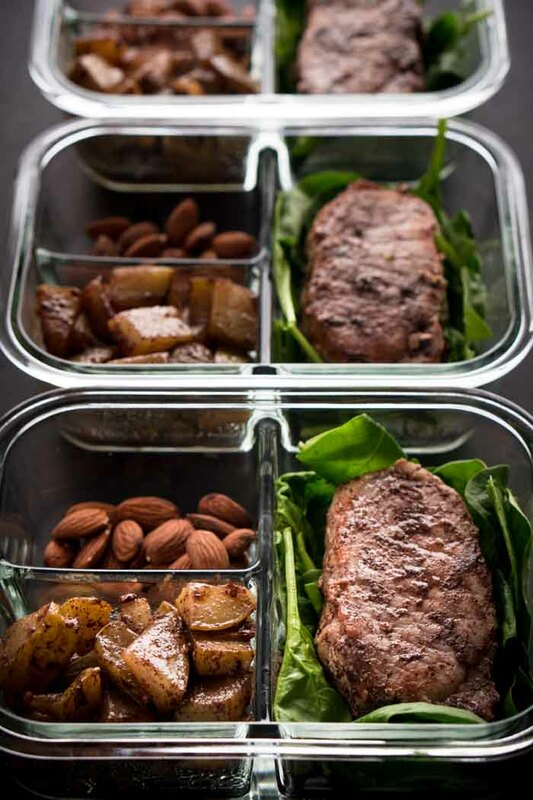 Hearty, healthy, and delicious, cinnamon pork chops with chayote mock apples makes a fantastic family dinner or meal prep for the work week! Melt ghee in a large skillet over medium heat, add pork chops and cook for 5 minutes. Flip the pork chops and add chayote and sprinkle sweetener, cinnamon, nutmeg, and apple cider vinegar over the top. Cook for an additional 4-5 minutes, or until the pork chops reach the appropriate temperature (145 F for medium rare, 160 for medium). 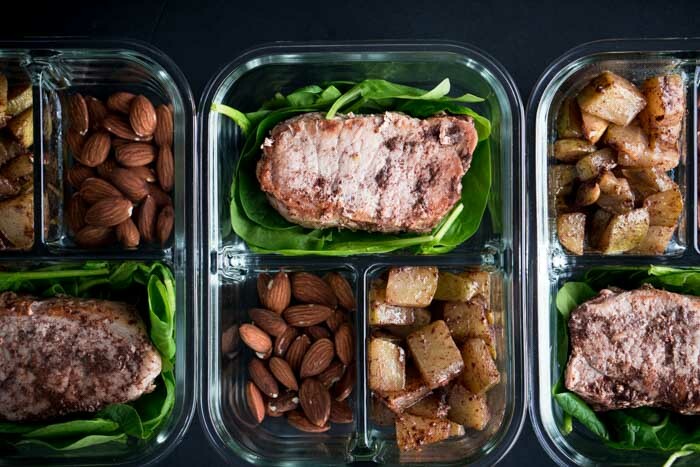 Remove the pork chops and place in a meal prep container if preparing meals for the week, otherwise keep pork chops warm until ready to serve. Bring the chayote mixture to a boil for several minutes. 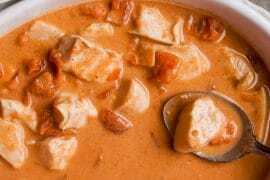 Reduce heat to low medium and simmer with cover, stirring occasionally, for 30 to 40 minutes. When done, the chayote will be fork tender and similar in texture to baked apple. Divide the chayote mock apples between four meal prep containers or serve immediately alongside the warm pork chops. 2g net carbohydrates per serving - which gives you room for a couple more things if you'd like to add that to your meal prep container or tailor things to your personal macros. Here, I used 1/2 cup (15g) of raw spinach to lay my pork on. That's only 0.24g net carbs, 0.43g protein, 0.06g fat, and 3 calories. There's also 1 oz (28g) of almonds on the side: 2.61g net carbs, 6g protein, 14.16g fat, and 164 calories. Can’t wait to try this! Just FYI, chayote is called “mirliton” (pronounced meh-lay-taw) in Louisiana. 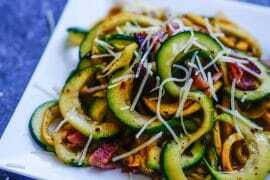 It’s traditionally cooked into a savory casserole and is delicious!